Are YOU, my reader, looking for a descriptive step by step plan or an article helping you to see the importance of getting on a gluten free diet, most likely, as soon as possible? If you have landed here, it is surely because you are in need of guidance, support and information on this new way of life for you or a loved one. Either way, you are curious. Thank you for coming. If you continue reading, you will thus find that I will break down the benefits of living a gluten free life. That, I have found to be, is the best way of preparing for your journey- focusing on the benefits. Let's read the definition of the word "Plan". 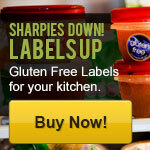 For more information on a list of gluten free food, click here. 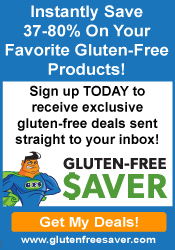 For more information on a list of gluten filled food, click here. 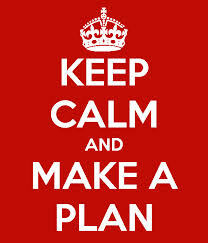 1. a scheme or method of acting, doing, proceeding, making, etc., developed in advance: battle plans. 2. a design or scheme of arrangement: an elaborate plan for seating guests. 3. a specific project or definite purpose: plans for the future. Gluten free diets are becoming the trend everywhere, not only because of so many realizing that they have a gluten intolerance but because it is the healthy way to go. Not much time goes by until you hear that your favorite celebrity is now on a gluten free diet plan or a neighbor, friend, relative so on and so forth. So the benefits start to become more of a request for understanding on our part. You feel better all around. Many, those with a gluten intolerance or not, have reported that they have felt at least 90% better since starting a gluten free way of eating. After making the decision to dive in, they have seen a decrease in the symptoms that lead to their feeling lousy especially the feeling of exhaustion. To know what these symptoms are, feel free to browse my “Gluten Free Diet” section of my site. The Opportunity to lose weight. This is NOT a guarantee but, boy, is it ever a bonus. Research involved with eating gluten when you shouldn't shows that when your body processes this protein that your body rejects, it leads to inflammation and bloating issues. Automatic weight gain that does not go down. It doesn't matter what diet you start on. It sticks to you like glue…Funny illustration because that is what gluten does to your intestines whether you have a gluten sensitivity or not. It sticks to your gut like glue and accumulates like glue…eewwww… No Thanks. No more Brain fogs…Can you imagine being able to think more clearly? Removing the “glue” like protein, gluten, allows for that… Now, we shouldn't expect perfection only because that is an impossibility but, when eating on a gluten free diet, many vocally advocated that they have seen Dramatic results in decrease of Brain Fog…You can think again! Umm! You eat healthier in general. One of my favorite benefits of gluten free eating is that you consciously are eating better. Less processed food make their way into your body and more fruits, vegetables, legumes, natural foods…YUM! Make wise choices so that you can feel the full benefits! Our bodies are such a gift. Let’s show that in the way we eat. Read labels because gluten likes to hide in our foods. Look for my list of things to look for when reading labels. It will save you from much grief because once your body gets used to the benefits of gluten free diet, it can be painful to go back to regular eating. Especially when you have been diagnosed with Celiac. There are so many benefits that we can mention from so many different angles but I wanted to start with just a few. Please feel share your story below to let me know what you have found to be beneficial to going gluten free. Please contribute YOUR benefits of a gluten free diet! Do you have a great story about this? Share it! Keep it positive and fun and most importantly, inspiring. We all learn from one another and your story is important to us! Entering your story is easy to do. Speak from your experiences and moments that are special to you! You are helping us by doing so! May I speak Gluten Freely? > What is Gluten Free? Top of Gluten Free Diet Plan- The Benefits!